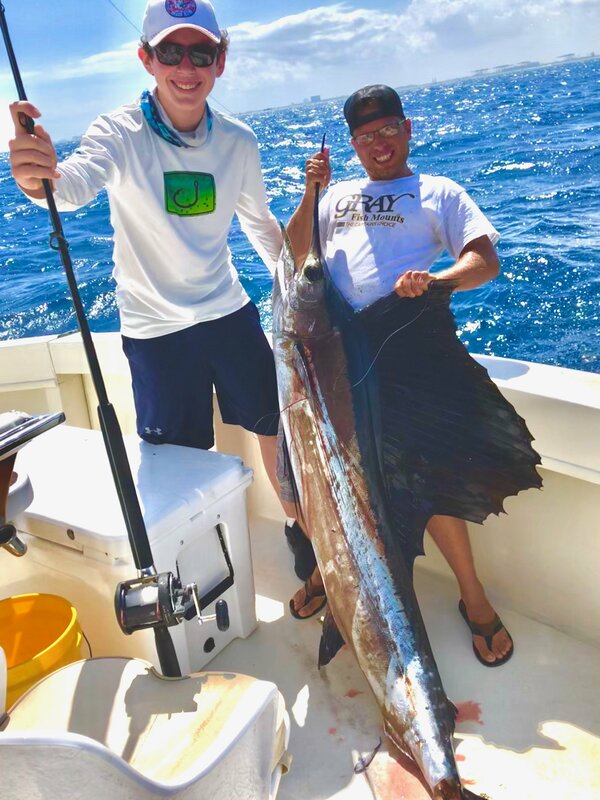 As we head into the final week of March we are expecting to have better numbers of Mahi-Mahi begin to travel through our area. 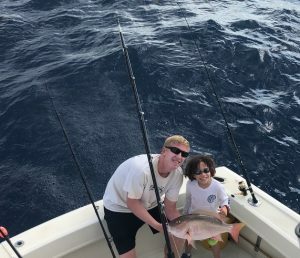 Many many anglers both young and old anxiously await their presence offshore and we are no exception. As of today they remain scarce but the clock is ticking and a good easterly breeze certainly won’t hinder them, hopefully blowing the tons of seaweed so prevalent offshore up onto current edges not too far off the inlet. 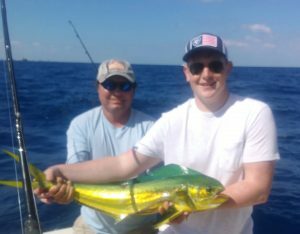 The weed offshore continues to hold very little bait and hopefully this changes as well as those Mahi so often with(in) the weed lines certainly prefer a good meal over a little shade. There are a few here but when they do begin to get into our area better they will typically be moving quickly to the south. Overall the fishing out front here remains very erratic. 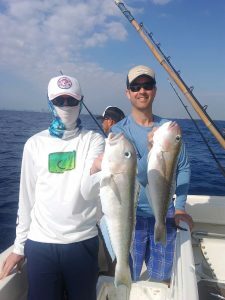 Clear clean blue water has the Kings on the reef very leader conscious and the the amount of seaweed on those reefs where we chase them has the mates being aware and conscious as well that the baits must be clear to draw bites. Pulling lots of weed off the baits is keeping everyone busy lately. 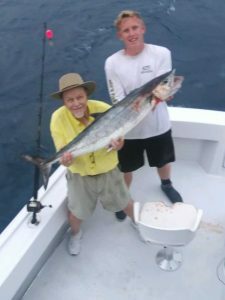 As we stated a few Mahi and Wahoo. A Sail here and there, and moving south as expected when encountered and moving quickly. 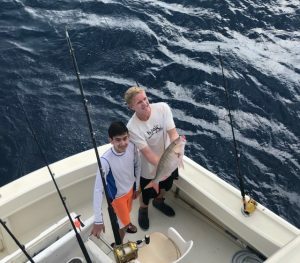 Expect erratic fishing again on some days, but as before there are again some nice fish to be had and we have posted some photos here of recent anglers that have joined us here aboard our Marlin my Darlin boats. Tight lines and good fishing.